“Innes and Endrulat cleverly tell the story from Teddy’s point of view, so the reader, like Teddy, hears Aileen’s explanations of what is going on as well as William’s and Grace’s secrets. 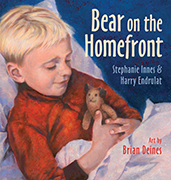 Like the two children, Teddy ends up spending the war far from his beloved Aileen wondering if he will ever see her again. “…Based on a traditional Japanese folktale about a peach boy named Momotaro who fights demons, Raymond Nakamura updates the story with a strong female protagonist as an activist, rather than a warrior. Her no-nonsense attitude and tact are the armaments of her endeavour, ones she embodies rather than carries. Click here to listen to see the full post. 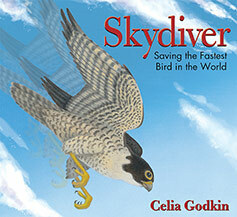 “In Skydiver, Celia Godkin tells the stories of peregrine falcons, the severe decline in their population caused by the pesticide DDT, and the human volunteers whose intervention is necessary if the population is to recover. Godkin follows the lives of both the wild and incubated birds, as well as providing background material on the fight to ban DDT. We’ve been busy. In March we launched a new website design. On April 1st we moved into a wonderful new office with the luxury of enough space for everyone to have desks (imagine!) and a nice, comfy sofa for our visitors. The high ceilings give us lots of room to display our illustrators’ framed picture book art and all our published books are showcased on a long row of bookcases. We are all finding it a very creative environment to work in. We hope this is evident in all the new books on our awesome Fall list which are presented in this catalogue. In May, four of our authors won major awards. Marsha Forchuk Skrypuch won the OLA Forest of Reading Silver Birch Non-Fiction Award for One Step at a Time: A Vietnamese Child Finds Her Way. This is Marsha’s second time winning the Silver Birch Award, and Pajama Press’ second time too! 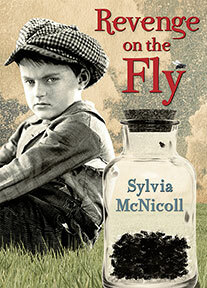 Jill MacLean won the Ann Connor Brimer Award for Children’s Literature for Nix Minus One. It is the third time Jill has won this prestigious award and we are thrilled to have Nix Minus One added to her honours. Karen Bass attended the Canadian Library Association convention in Victoria to accept the CLA’s Young Adult Book Award for her novel Graffiti Knight. Rob Laidlaw won the Hackmatack Children’s Choice Book Award for English Non-Fiction for his celebrated work, No Shelter Here: Making the World a Kinder Place for Dogs. Pajama Press congratulates our accomplished authors and we look forward to letting everyone know of any developments on new awards! I am very excited about our lead title for Fall 2014. A Brush Full of Colour: The World of Ted Harrison has been a labour of love for our Senior Editor, Ann Featherstone, who is a huge fan of Ted Harrison’s art and had the pleasure of meeting him years ago. 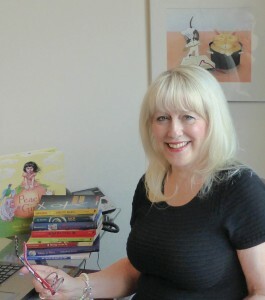 Since I signed this fabulous illustrated biography, Ann has masterfully overseen every detail. The result is spectacular and we thank Ann for all her hard work with authors Margriet Ruurs and Katherine Gibson. Our Pajama Press team is a joy to work with: Erin Woods, Rebecca Buchanan, Ann Featherstone, Catherine Mitchell, Ellen Nodwell, Pat Thornton Jones, and Richard Jones. They all contribute hugely to the success and longevity of our company. Pajama Press is proud to once again congratulate Karen Bass for her award-winning novel Graffiti Knight. 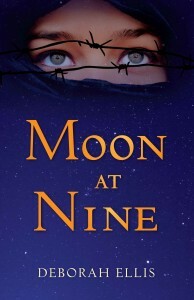 On June 6th the historical YA novel was awarded the R. Ross Annett Award for Children’s Literature at the Alberta Book Awards Gala in Calgary. Administered by the Writers’ Guild of Alberta, the award recognizes an Alberta author each year for excellence in writing for young audiences. Graffiti Knight has already won the Canadian Library Association Young Adult Book Award and the CAA Exporting Alberta Award. It has also been an Ontario Library Association Best Bet, a Best Books for Kids & Teens Starred Selection, and a Resources Links “The Year’s Best” selection. We are humbled by the reception this novel has received and honoured to work with Karen Bass. In his engaging debut, author Raymond Nakamura puts a feminist bent on the Japanese folk tale Momotaro (Peach Boy). 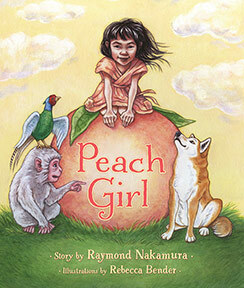 In Nakamura’s version, a young girl emerges from a giant peach discovered on the doorstep of an elderly couple (who are, notably, a farmer and her husband). Momoko, which translates as “Peach Girl,” is a feisty creature determined to make the world a better place, a mission that involves ridding it of a child-eating ogre. Gently shrugging off her adoptive parents’ concerns for her safety, Momoko embarks on her quest with peach-pit armour for protection, plus a bundle of peach dumplings to eat on the way. 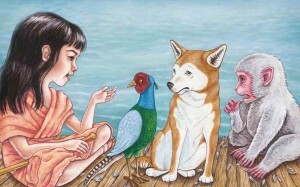 As with the original fable, Momoko encounters a dog, a monkey, and a pheasant who join her in her quest. Nearing the ogre’s castle, her companions become frightened, but Momoko’s courage never falters. Her good faith doesn’t waver either, and is rewarded when the ogre turns out to be kind and friendly, inviting Momoko and her friends to have tea beneath the cherry blossoms in his garden. Rebecca Bender, known for her acclaimed Giraffe and Bird books, provides the delightful illustrations. Her people and animals are gorgeously animated, with fabulous facial expressions. The backgrounds feature beautiful spreads of the Japanese landscape, including mountains and rice fields. Such attention to detail is the highlight of the book. …readers will appreciate the surprise ending and find the repeated language appealing—Momoko’s “Peachy” catchphrase in particular. Nakamura’s playful twists on gender tropes combined with Bender’s outstanding visuals make this a fun and important book for boys and girls alike.